Great Yarmouth, often known to locals as Yarmouth, is a seaside town in Norfolk, England. It is located at the mouth of the River Yare, approximately 20 miles east of Norwich. This aerial photograph was taken during the Trolley Mission on May 12, 1945. The pilots of the Trolley Mission started at Wendling Airfield. To fly to Germany, they had to cross the English Channel. Great Yarmouth was the last chance for an emergency landing, so the seaside town was photographed several times. 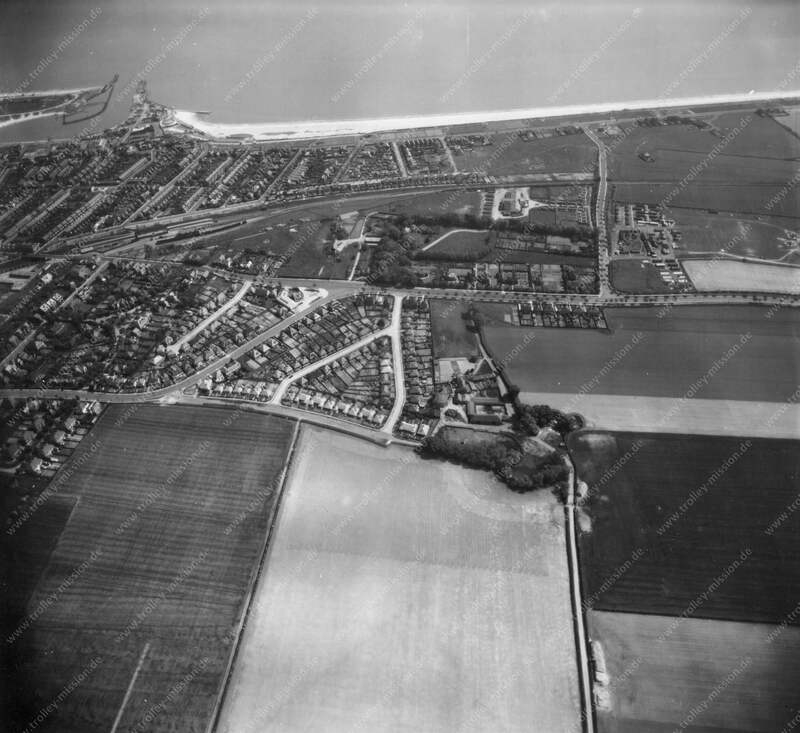 This aerial photograph was taken during the Trolley Mission on May 12, 1945. Great Yarmouth, often known to locals as Yarmouth, is a seaside town in Norfolk, England. It is located at the mouth of the River Yare, approximately 20 miles east of Norwich. The pilots of the Trolley Mission started at Wendling Airfield. To fly to Germany, they had to cross the English Channel. 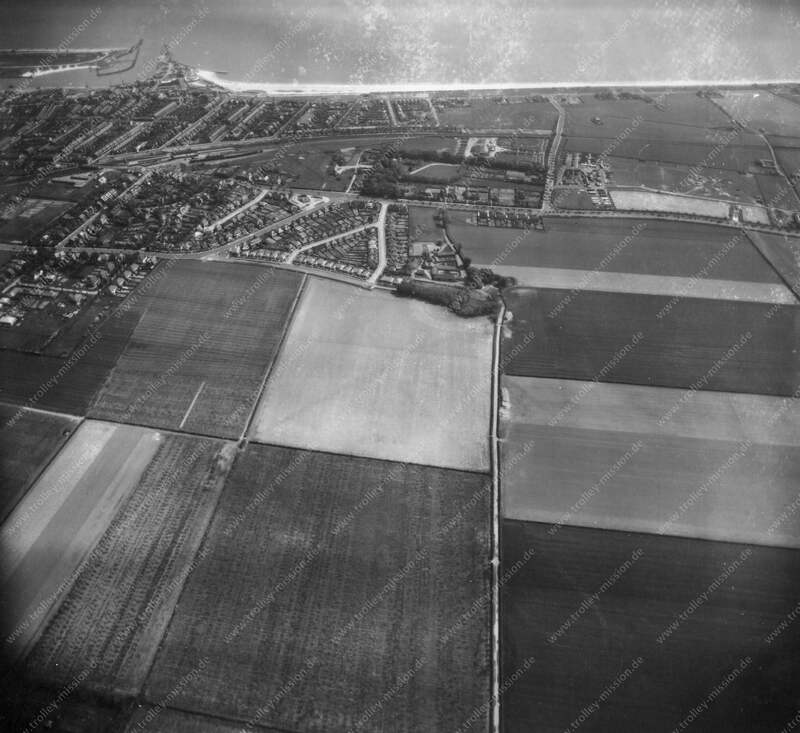 Great Yarmouth was the last chance for an emergency landing, so the seaside town was photographed several times.